Leave your phone in the glove compartment and enjoy a break from the stresses and the hassles of modern life at Minneapolis Sculpture Garden. It's just one of the many things to explore in the wonderful city of Minneapolis - St. Paul. Since your home away from home will be Minneapolis Sculpture Garden, why wouldn't you stay in the vicinity? With 24 nearby possibilities, you will be able to locate something appealing. 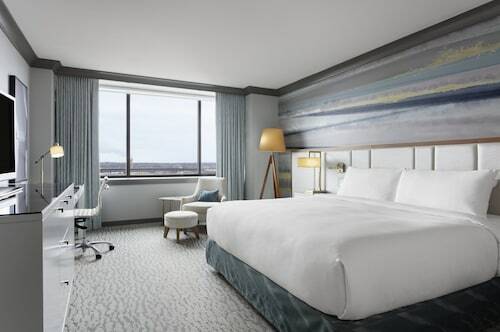 You might like to have a look at the Hotel Ivy, a Luxury Collection Hotel, Minneapolis and the Residence Inn By Marriott Minneapolis Downtown, comfortably located just 0.8 miles (1.3 kilometers) and 0.8 miles (1.3 kilometers) away, respectively. 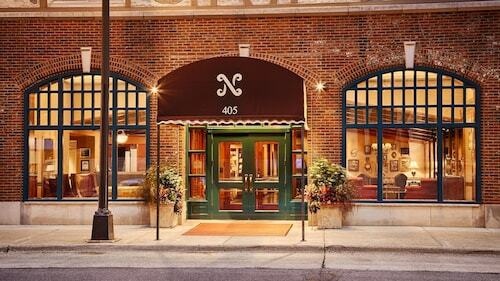 Another good choice, the Loews Minneapolis Hotel, is 0.9 miles (1.4 kilometers) away. Everyone is fond of a bargain, and thankfully you don't have to venture too far to find one. There is a small number of budget hotels a quick drive away. You will find the Days Inn Hotel on University and the University Inn a short drive away. The array of hotel options in the area will please even the most cosmopolitan traveler. Put up your feet and dream in style! 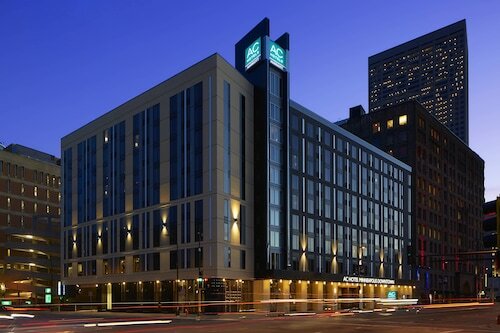 The Radisson Blu Minneapolis Downtown and the Le Meridien Chambers, Minneapolis are two of the excellent selections, located just 0.9 miles (1.4 kilometers) and 0.7 miles (1.1 kilometer) away, respectively. Once you're done exploring Minneapolis Sculpture Garden, take a five-minute walk to Dark Arts Coffee and enjoy a hot cup of coffee and the inviting surrounds. An ideal choice when you're searching for a more serious dining experience is Esker Grove. Again, you don't have to go too far to reach it. For all those travelers that like finishing up the day with a relaxed beer or wine right in the area, Cafe & Bar Lurcat will be serving drinks all night. Fans of creative works should stop at Walker Art Center where they'll be truly in awe. A historically significant place of worship in this region is St. Mark's Episcopal Cathedral. Look at its beautiful façade or see if you are able to venture inside. Take time to stop by Basilica of Saint Mary. Even though this local church is frequently visited by tourists, you need to find out the rules for visiting if you want to spend time inside this spiritual place. Go to Loring Park, a grassy oasis, and enjoy basking in the sun and admiring your surroundings. Music Box Theatre is a pleasant place of worship. You may admire it from a distance or find out if you're able to have a look inside. When planning your visit to Minneapolis Sculpture Garden, think about taking a train. The closest station, Target Field Station, is only 1 mile (2 kilometers) away. How Much is a Hotel Room in Minneapolis Sculpture Garden? 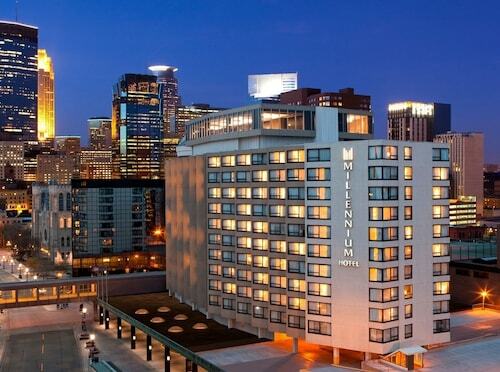 Hotels in Minneapolis Sculpture Garden start at $89 per night. Prices and availability subject to change. Additional terms may apply.